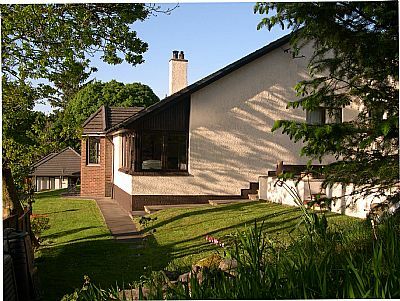 Welcome to Seafield House Bed & Breakfast, Fort William. Failte gu Taigh Achnamara, an Gearasdan. Seafield house Bed and Breakfast is a VisitScotland, 4 star rated, B&B accommodation in Fort William. Whether you arrive by foot, bicycle or car you will be met by a warm welcome (failte mhor) at Seafield House. Fiona and Drew are keen walkers and cyclists and will ensure you are well prepared for the following day. "I had a wonderful welcome from Drew who made my stay as enjoyable as it could be. Very comfortable accomodation and an incredible breakfast. Special thanks for the haggis on my last morning.......... "
"I have stayed here three times now and find Drew and Fiona, welcoming hosts. The room is always spotless and very comfortable. Drew does a stunning breakfast with the usual Scottish cooked breakfast, however there are always one or two little additions that make it special. There is a great view from the breakfast table .............. "
A short, scenic, loch side walk from Seafield House (10 - 15 minutes) brings you to the town centre with its bars and restaurants. 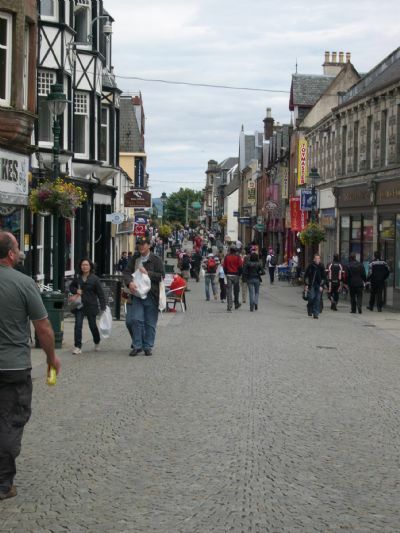 Ideally located in the West Highlands (Inverness 104 km (65 mls), Oban 71 km (44 mls), Aviemore 98 km (61 mls), Mallaig 68 km (43 mls)), Fort William is an excellent base to explore Lochaber and surrounding areas. Whatever your interests - engineering, romance, history, wildlife....- we have it all on our doorstep! We are also a stop on the world renown West Highland Railway: www.westcoastrailways.co.uk/. Lovely Lochaber Slideshow: Seafield’s trip to 4 cities including Isle of Skye was created with TripAdvisor TripWow!